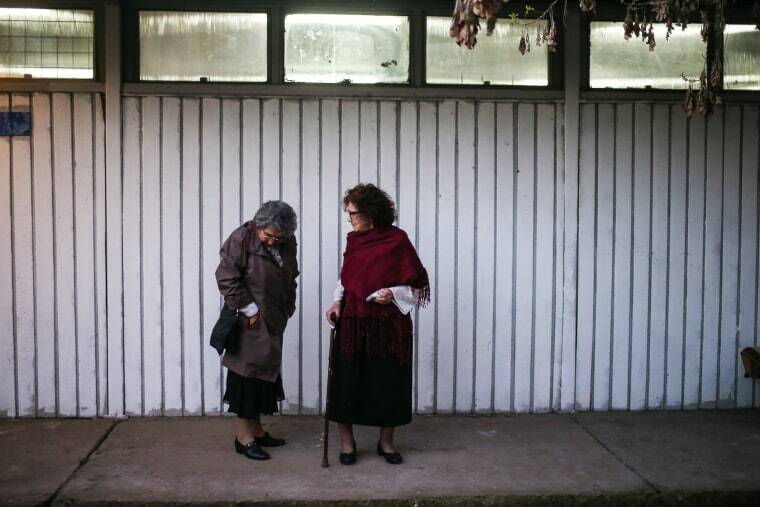 Although Violeta Zúñiga uses a cane to move around, nothing can keep the 83-year-old from performing Chile's national dance to protest her partner's disappearance during the country's military dictatorship. The cueca dance is performed by couples during Chile's national holidays, a source of celebration and pride for many in the South American country. But Zúñiga has danced alone for nearly 40 years to mourn and protest the forced disappearance of her partner, Pedro Silva Bustos, during Gen. Augusto Pinochet's 1973-1990 rule. Zúñiga is among the women British pop singer Sting told of in his 1987 protest song, "They Dance Alone." "Why are there women here dancing on their own?" Sting asked in the song. "Why is there this sadness in their eyes?" Sting invited Zúñiga and other women from her group to dance on stage during an Amnesty International concert in Argentina in 1988. They also performed with singers Peter Gabriel and Sinead O'Connor before more than 70,000 people in Chile's National Stadium in 1990. Zúñiga will dance alone to the cueca on Sunday, the 43rd anniversary of the Sept. 11, 1973 bloody coup that brought Pinochet to power. She'll wear a picture of her partner around her neck and wave a white handkerchief embroidered with one word: "Justice." "You never want to give up the search," Zúñiga said of Silva Bustos, a mason and Communist Party member who was disappeared in 1976. In all, 40,018 people were killed, tortured or imprisoned for political reasons. The government estimates that 3,095 were killed during Pinochet's dictatorship, including about 1,200 who were forcibly disappeared. The performance of the cueca by women without partners was first performed in public in 1978 to commemorate International Women's Day. The handkerchief, traditionally used in the courtship dance, has become a symbol of mourning for the women who continue to search for their disappeared loved ones. Today, Zúñiga lives alone but for her dog "Garzon," named after Spanish jurist Baltasar Garzon, who gained a global reputation for going after Pinochet in the 1990s. Pinochet died in 2006 under house arrest, never tried on charges of illegal enrichment and human rights violations. Just a handful of women are left in the folkloric dance group; most have died or retired. But Zúñiga keeps marching with the families of the disappeared in front of the presidential palace. Despite her aches and age, she is determined to dance until her last breath. "I'm here because we have to keep searching for truth," she said. "We have to keep searching for justice."